Think outside the box – 5 ways to make storage stylish. With the Easter holidays being a bit of a wash out I have been a little sad and enjoyed a spring clean much to my kids delight! Their Lego is now colour co-ordinated and all toys are stored by type, cars in one box, super heroes in another. Oh, the simple pleasures, now pass me that Lego Kraggel glue! I spend a long time listening to my clients to understand how they want to live in their homes, what will make their lives easier and how best to hide the less pretty things that we might need every day but don’t want to see. 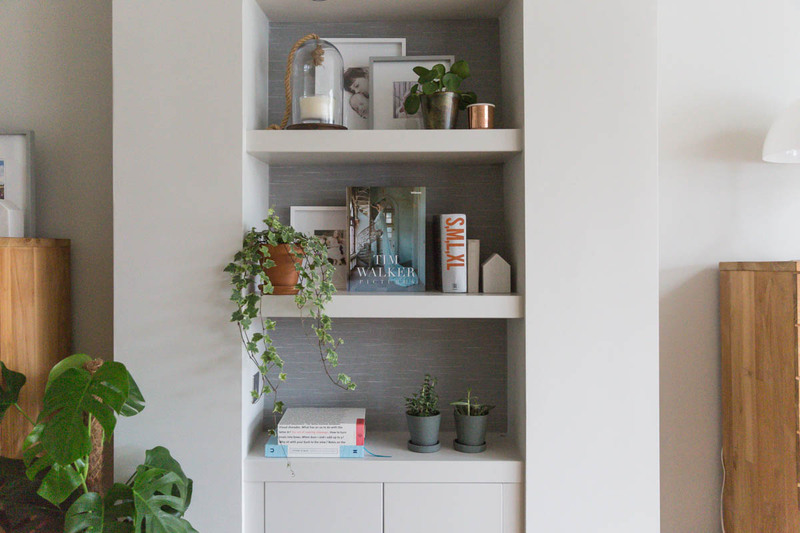 Storage is key for making your homes work better for you and with a little bit of thought and a creative approach to storage you can make it work effortlessly whilst still looking beautiful. Here are my 5 top storage hacks. Take time to think about what you want to see everyday and what you want to hide. creating a storage solution that works for you. Look at the space you have available and how best to store or display your items, hiding the ugly items away to give a clean seamless look. You should think about power, lighting and illuminating shelving to make it look more interesting and cool. 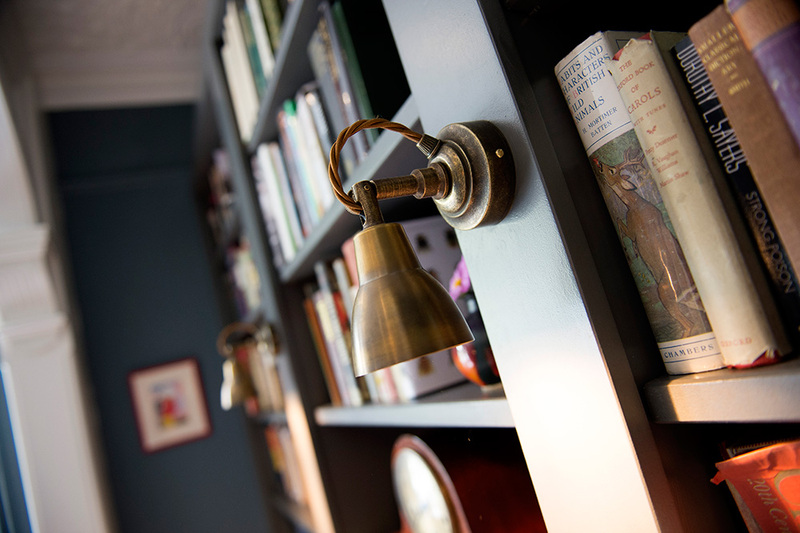 I love the wall lights we added on the outside of this bespoke bookcase. I mixed the clients art work with books and hid the boring files in the cupboard below. Make your walls work for you. Think vertically to maximise the space and to create an architectural look. Break it up by creating indents for display and remember to balance the design. 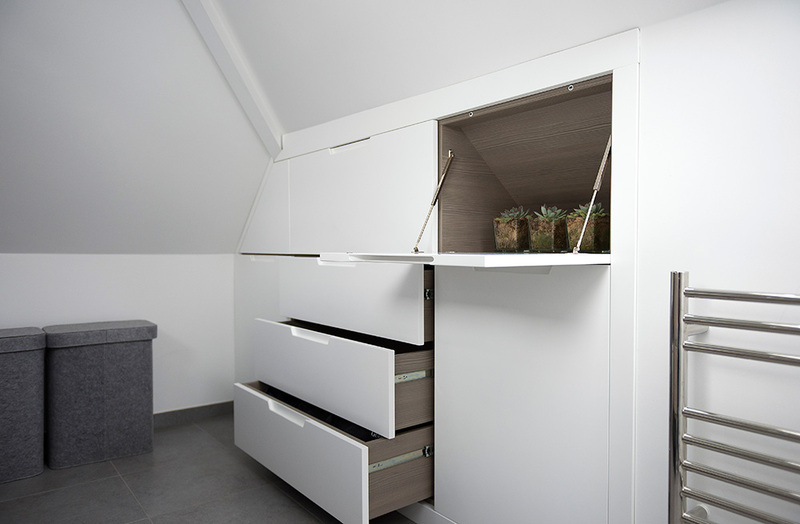 This loft en-suite had tricky eves so we created bespoke storage with fold down cupboards. I love the Egger wood veneer we added to the inside of the storage, it adds a little surprise and makes your bathroom products look super luxurious. In some spaces, such as alcoves, completely bespoke storage is best as you can maximise the space. However there are many off the shelf options out there that you can ‘hack’. I have utilised many Ikea products and adapted and personalised them to create original designs. 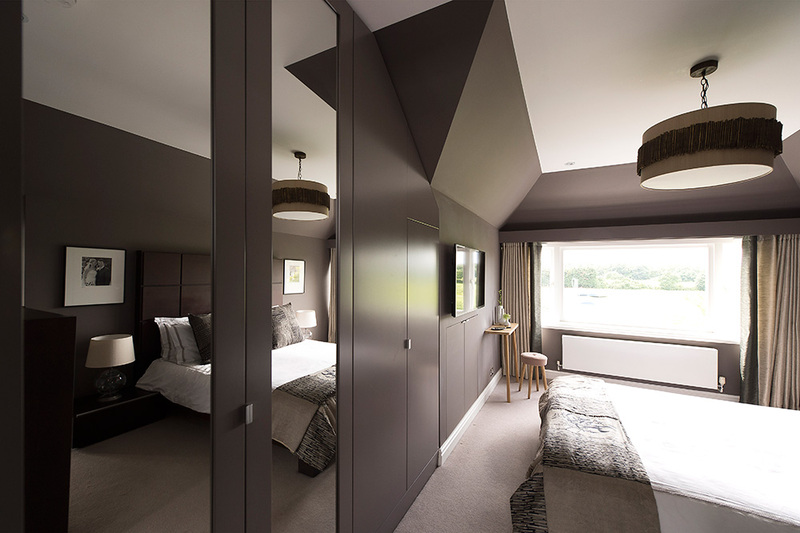 In this loft bedroom we used the Ikea Pax system and added bespoke doors sprayed to match the Little Greene Knightsbridge 215 paint used on the walls. To make the storage blend into the room a simple trick is to paint it the same colour as the walls. However, if you want to make a statement think about the finish, woods or veneer options come in myriad of finishes. Play with wallpaper or fabric and don’t forget the inside. You can introduce a contrasting finish or a pop of colour. For the shelving in my family room I painted the shelving the same colour as the walls but added a silk effect wallpaper on the back of the shelves to add texture. I love it as it’s calm. Handles give that all important finishing touch. There are some beautiful options out there which really create a unique piece of furniture giving a personal touch to your interior design. 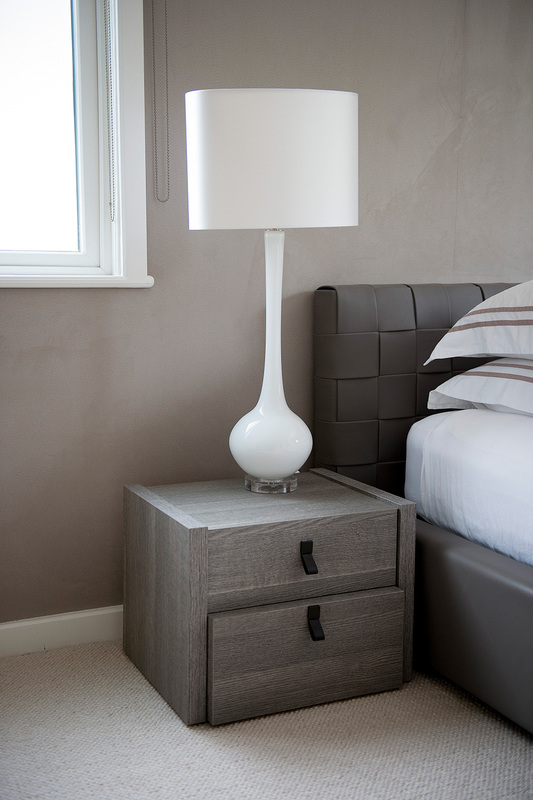 The Bedside tables we specified for our Maida Vale project allowed us to select gorgeous leather pulls which finished the room design by adding a touch of luxury. Have fun with storage and don’t just settle for the practical. We have used antique hatboxes for side tables as the client wanted something unique so make sure you also check out your local antique fairs or charity shops as you can pick up some great pieces. This entry was posted in Interior design, News and tagged joinery, Storage-blog, storage-hacks, storage-ideas, Wimbledon-interior-design by n1kkir33s. Bookmark the permalink.